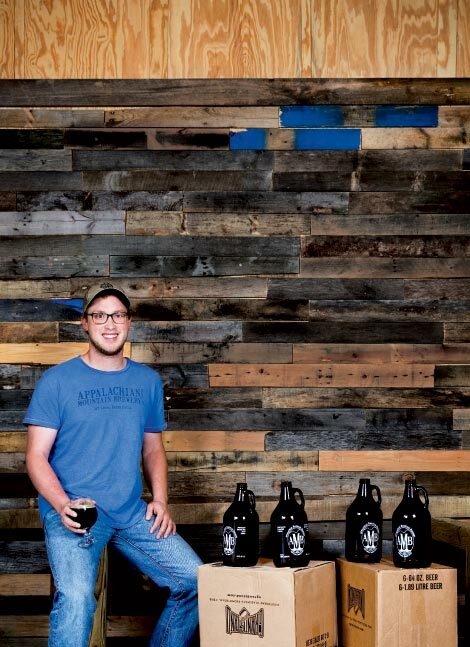 At 24 years old, Appalachian State University alumnus Nathan Kelischek is living out his dream as director of operations at Appalachian Mountain Brewery in Boone, the town’s first producer of suds since Cottonwood Brewery closed in 1998. Kelischek, who graduated in 2011 with a degree in environmental science and minor in chemistry, is combining his love of beer and commitment to sustainability to change the High Country, one well-crafted pint at a time. How did your degree prepare you for your brewing gig? NK: I worked for Ivory Tower Brewery on campus for two and a half years before ASU officially established its bachelor’s degree in fermentation sciences. I developed recipes and a technical understanding of the brewing process so I would have a good knowledge base to come up with more eccentric brews of my own. What are a couple of your favorite beers on tap? NK: The Black Gold Porter is one of my favorites right now. It has a midnight hue that’s complemented by chocolate and coffee aromas; with a creamy head and a smooth finish, it stands apart from other porters. We also have a summer seasonal called Honey Badger, which is a crisp and refreshing American blonde ale that’s brewed with North Carolina wildflower honey and orange zest. What green practices are you most proud of at Appalachian Mountain Brewery? NK: We were the first brewery in WNC to install a five kilowatt solar power system. We also received a grant from the National Committee of the New River to restore the wetlands around our property at the confluence of Boone and Hodges creeks. And our rain garden out front uses runoff water from the parking lot to remove nitrates from the surrounding soil. How do you envision your brewery influencing the community? NK: Aside from the university, the town doesn’t have a lot of sustainability initiatives, so we hope the brewery will help Boone become more sustainable. One of our short-term goals is to convince town council to allow net metering, so power companies can pay businesses for the energy they produce.